We hear the term “big data” thrown around so much that it is difficult to imagine that prior to the mid-’90s, few businesses even knew what it meant. In case you’re still unsure, big data is any collection of data sets so large and complex that it is difficult to analyze using traditional data processing applications. 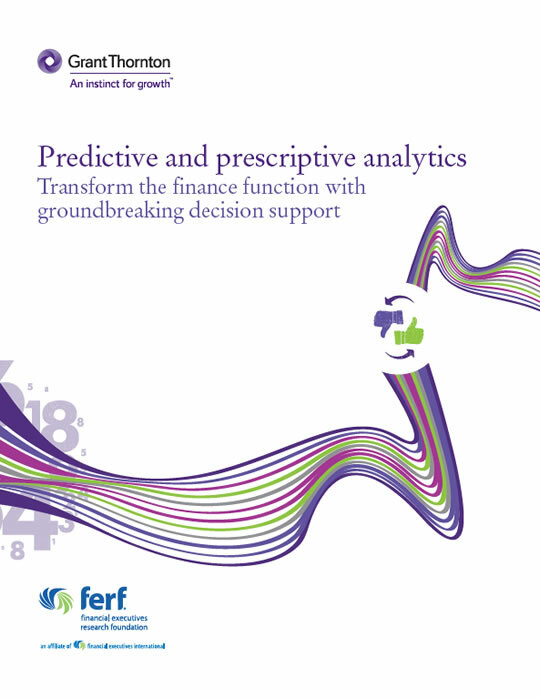 Since much has been written about descriptive and diagnostic analytics, we will focus on predictive and prescriptive analytics — technologies that will transform the finance function by providing forward-looking insights; aligning the enterprise to the optimal course of action; quantifying trade-offs fast and with a low cost of ownership; and increasing the ability to communicate and collaborate across functions. These transformative characteristics will lead to significant performance improvements.